Ukrainian Activists stopping the destruction of the Tarutyns’kyj Steppe - momentarily! 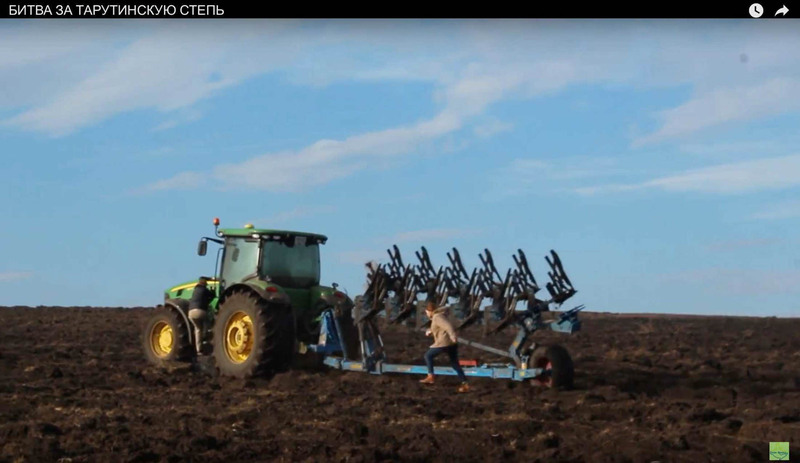 As we reported, the Tarutyns’kyj Steppe is being illegally plowed with the consent of the Ukrainian Ministry of defence. Ukrainian activists are trying under life threatening circumstances to save this piece of wilderness. Watch this video to see them trying to stop the huge John Deere Tractors (who actually owns these machines worth € 100.000 and more? ), being spread with Diesel and almost being run over by the heavy machinery. Please forward our website to friends to show them, that Europe is watching! This is an incredibly important thing! Support the activists! We have to thank you for fighting for the last remains of wilderness in Europe. We would appreciate if you could send us an article for our European Wilderness Journal about the Tarutino Steppe. We should inform the European Policitician, Wilderness Advocates and Scientific community on the natural uniqueness of this Steppe and the initiates to destroy it and the people fighting for it. Can you help us with such an Article?